JERUSALEM, July 7, 2013 – Thousands of women will come together for a peaceful prayer vigil, organized by Women for the Wall, at the Western Wall on Rosh Chodesh Av, Monday July 8 at 6:30 AM. 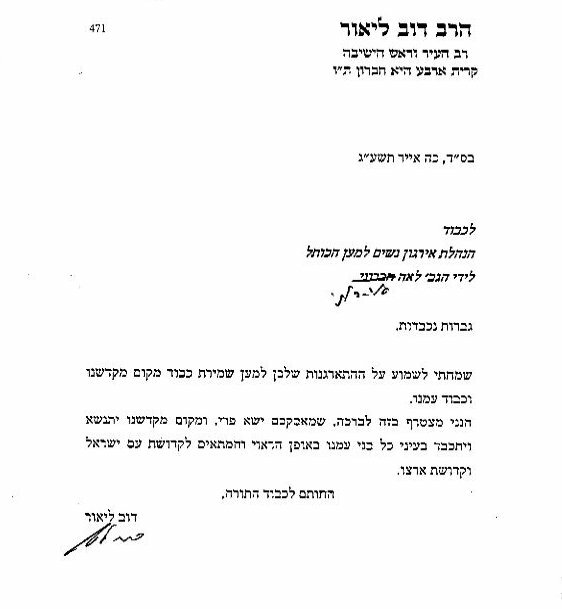 The event has received the endorsement of leading rabbanim from across the spectrum, including Rav Aharon Leib Steinman, Rav Shmuel Auerbach, the Gerrer Rebbe, the Viznitzer Rebbe, the Beltzer Rebbe, the Erloy Rebbe, and the Slonimer Rebbe shlit”a. 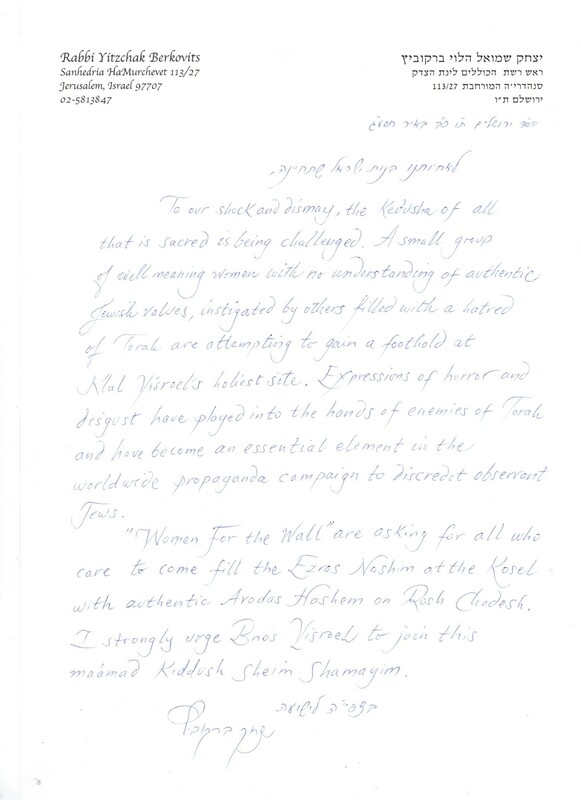 In previous months leading rabbis from the national religious community, including Rav Dov Lior and Rav Shmuel Eliyahu shlit”a have given their support to the cause, as did the Chief Rabbi Rav Shlomo Amar. Women of the Wall have stepped up their activity in recent months, going so far as to call for turning the Western Wall plaza into a “national monument” devoid of religious symbols. Last month, the police favored the prayer of Women of the Wall over that of thousands of regular visitors, preventing Orthodox Jews from reaching the Western Wall during the morning prayer hours and closing off access to the Old City.